Russmedia CEE, eastern Hungary’s most important publishing company, has been sold to a business interest closely connected to the ruling Fidesz party. With the sale, each of Hungary’s 18 daily county newspapers is now owned by Fidesz-connected oligarchs, either directly or indirectly. Meanwhile, Prime Minister Orbán promises an assault on what little remains of independent media in Hungary. Russmedia announced Monday that it would sell its three Hungarian county newspapers – Észak Magyarország, Hajdú-bihari Napló, and Kelet Magyarország – to Media Management Development Kft., a subsidiary of the Austrian-based CPS Investment Services AG. The latter company was created as an investment platform for employees and owners of the Vienna Capital Partners (VCP), a corporate finance group that oversaw last October’s controversial closure of Népszabadság, Hungary’s most widely circulated national print daily. 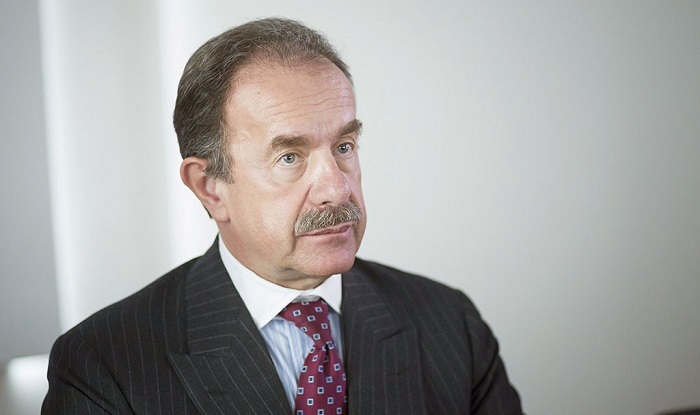 VCP is owned by Austrian businessman Heinrich Pecina (below), a figure lurking in the financial background of Fidesz for a number of years. Pecina’s company owned Népszabadság publisher Mediaworks when the latter suddenly suspended operations of the 60-year-old paper last October before being acquired by Opimus Press Zrt. That company is listed on the Budapest Stock Exchange. and its largest shareholder is former gas-pipe fitter-turned-EU fund wunderkind Lőrinc Mészáros, a childhood friend of Viktor Orbán who many believe serves as the prime minister’s proxy in business matters. After a cursory evaluation of the economic feasibility of restarting Népszabadság, Mediaworks declined to resuscitate Hungary’s most important opposition daily, to no one’s surprise. With VCP’s purchase of Russmedia CEE, all of Hungary’s 18 regional papers are now in the hands of Fidesz-tied business interests, belonging either to Pecina’s VCP, Mészáros’s Opimus Press Zrt., or Hungarian film commissioner Andy Vajna’s recently acquired Lapcom Kiadó Zrt. Russmedia distributes 105,000 copies in the country’s three eastern counties daily: 35,000 copies of Észak-Magyarország, 31,000 of Napló and 38,000 of Kelet-Magyarország. (By way of comparison, prior to its suspension and closure Népszabadság’s daily circulation amounted to some 37,000 papers). Russmedia also maintained each of those papers’ online editions and produced several other free weekly publications and periodicals. The acquisition of a publisher with such substantial daily circulation represents a major victory for the ever-expanding Fidesz media empire. 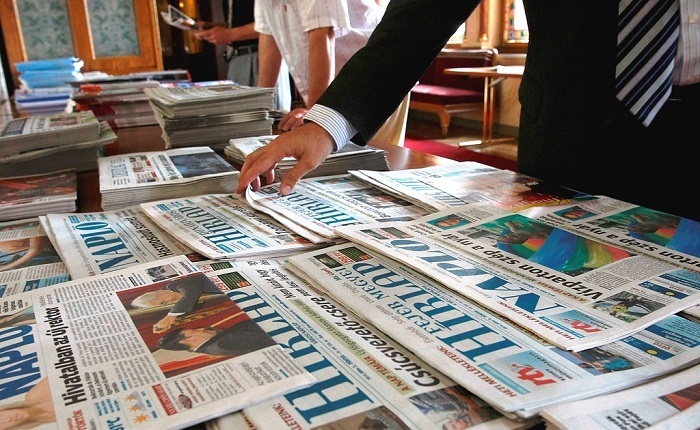 Regional papers are reportedly the only profitable print media in Hungary and are far more popular and influential in the countryside and smaller cities than national publications. The Hungarian branch of Russmedia, for example, reported profits in 2014, 2015 and 2016 of HUF 106 million (USD 360,000), HUF 100 million (USD 340,000) and HUF 532 million (USD 1.8 million), respectively. Before Pecina’s purchase of the three eastern dailies from Russmedia, the only remaining independent county paper in Hungary was the Nógrád Megyei Hirlap. But in early July, the paper’s publisher Nógrád Hírcentrum Kft. was sold to Mediaworks, bringing to 194 the number of newspapers owned by Lőrinc Mészáros. Government film commissioner and casino magnate Andy Vajna entered the county paper market this week with the acquisition of Lapcom Kiadó Zrt., the publisher of newspapers Délmagyarország and Kisalföld, as well as the tabloid Bors. This expands Vajna’s media holdings beyond his ownership of Hungary’s second-largest commercial television station TV2 and radio station Radio 1.